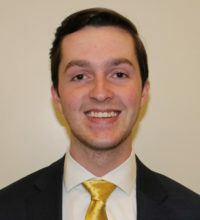 Matt Connell worked as an intern with the Charlotte Lozier Institute in the summer of 2017. He is currently studying marketing and constitutional studies at the University of Notre Dame. On campus, he is involved with Notre Dame Right to Life as Vice President of Communications and serves as a staff writer for the Irish Rover, a campus newspaper dedicated to preserving the Catholic identity of the university. Additionally, he is a Sorin Fellow at the Notre Dame Center for Ethics and Culture. He was born and raised in Lenexa, Kansas. In 2013, the Charlotte Lozier Institute published a report titled, “The Adoption Tax Credit: Progress and Prospects for Expansion.” The report both outlines the history of the adoption tax credit at the federal level and analyzes the number of states that provide some form of tax relief for adoption. Since the report was published, the federal adoption tax credit has continued to increase in dollar amount and is utilized by tens of thousands of Americans pursuing adoption each year. In addition, several states have created or expanded adoption tax credits at the state level, helping to offset adoption costs for American families. State abortion reporting provides a valuable perspective on abortion trends throughout the country. In particular, the Commonwealth of Virginia’s most recent report of abortion by facility, released by the Virginia Department of Health with data for 2015, offers a helpful overview of the numbers of abortions performed by each facility in the state. As Planned Parenthood fights for continued federal funding by insisting that abortion plays only a small part in its total health care services, Virginia’s information is especially relevant.